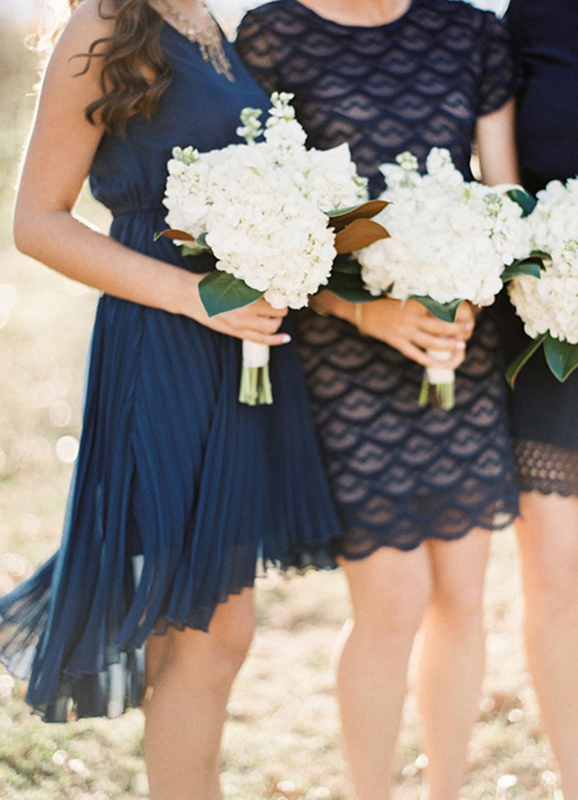 10 Stylish Bridesmaid Dress Trends Your Maids Will Love You For! 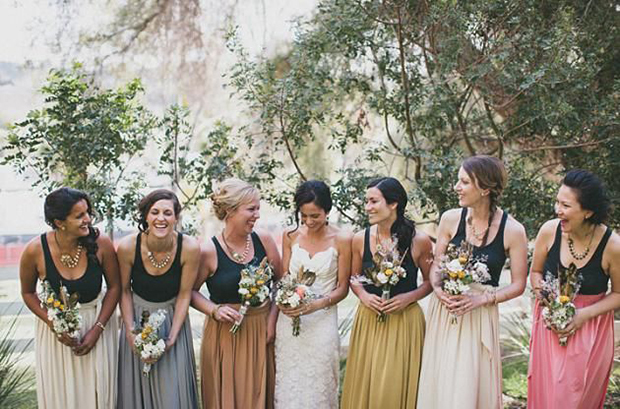 Home > Bridesmaid > 10 Stylish Bridesmaid Dress Trends Your Maids Will Love You For! 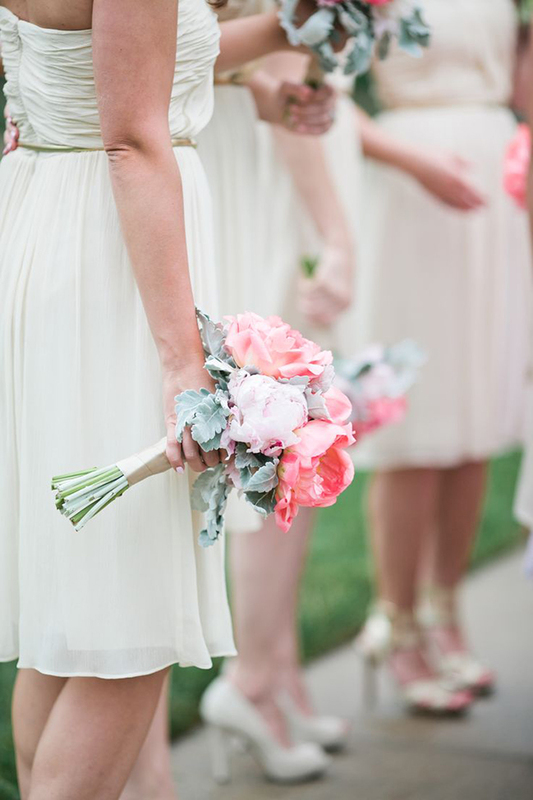 10 stylish bridesmaid trends your maids will love you for? Yes! 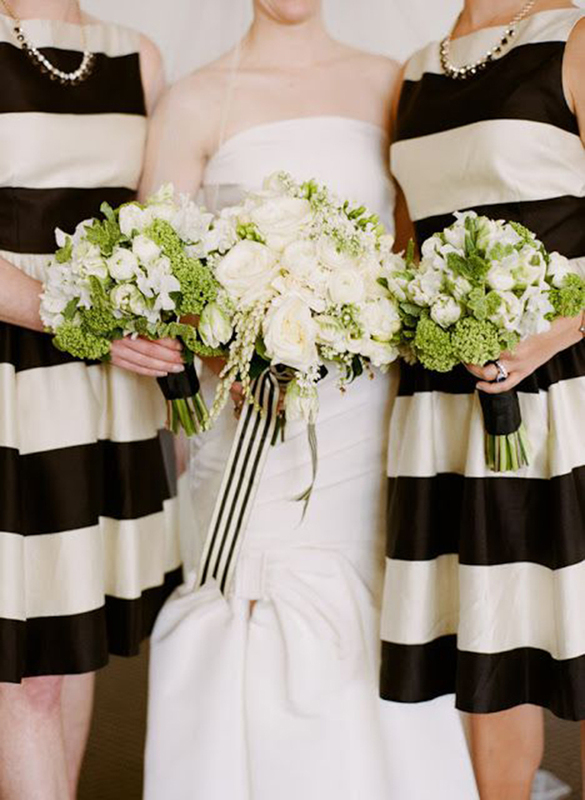 This post is packed with stylish ideas for your bridesmaids. From lovely lace to pretty florals… make sure you have the prettiest, coolest and most stylish bridesmaids in town. Are you brave enough to let your maids wear white? Once upon a time, wearing white would have been a potential bride upstaging no, no. Now this is such a chic, chic choice! Loving the trend for sheer dresses? Your maids will love you for choosing something so stylish! Want your bridesmaids to feel super comfortable? Pick a palette of complimentary colours and then let them wear a dress of their own choice! If you’re looking for an alternative bridesmaid look, why not select dresses with a pattern. Florals are big right now and super pretty… and with pattern, anything goes. 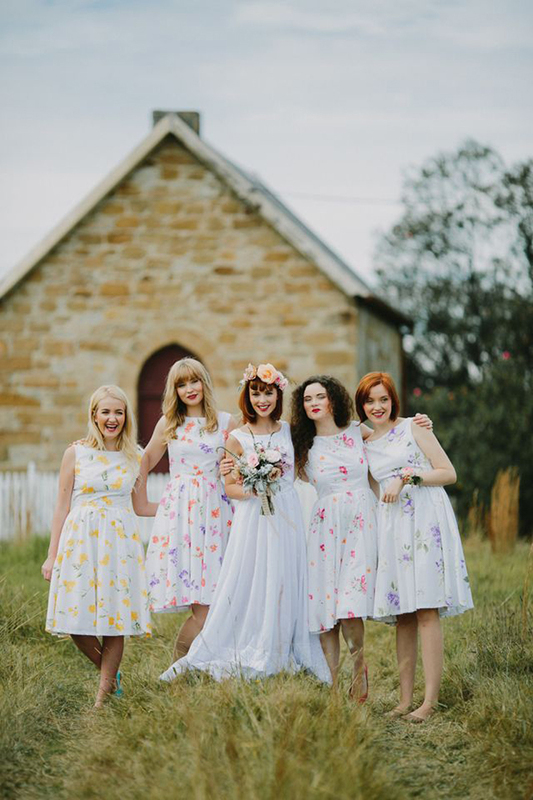 Plum Pretty Sugar stocks amazing bridesmaid dresses if you love floaty and floral. Like stripes? Looking for a modern and contemporary bridesmaid dress idea? Stripes might be the way to go. Gatsby glamour is all the rage right now. Ramp up the glamour to the absolute max by dressing your very lucky maids in shimmering gatsby-esq gowns embellished with 1920s sequins and sparkle. Adrianna Papell is the queen of these gowns. 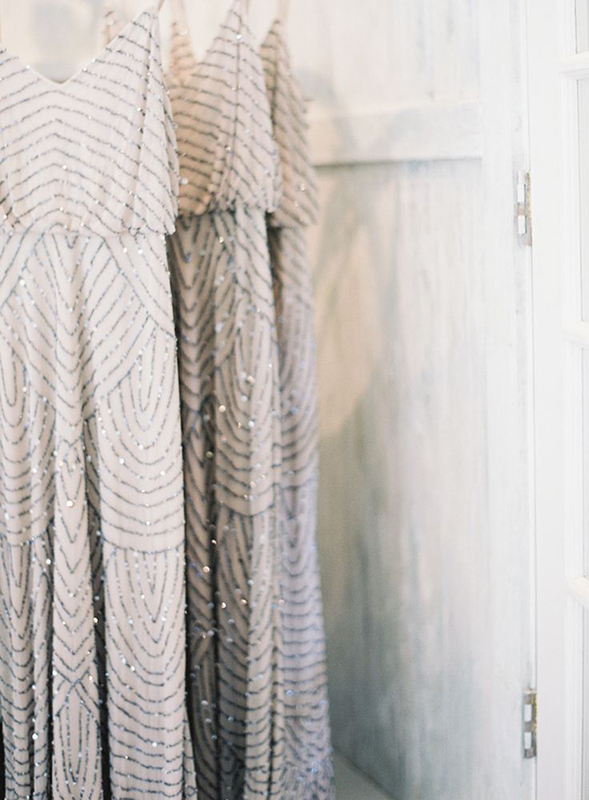 You can buy these ridiculously gorgeous Gatsby inspired bridesmaid dresses from Adrianna Papell or bhldn. 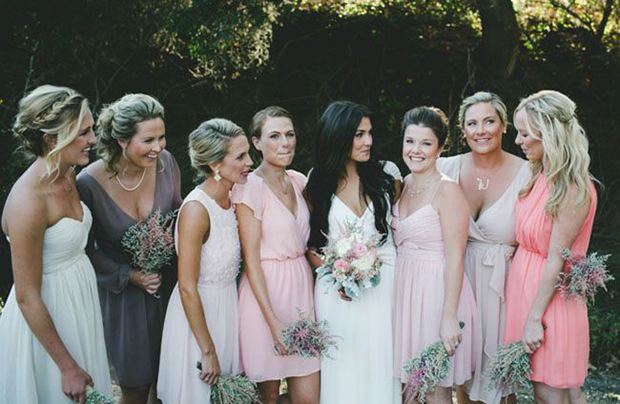 One of the prettiest bridesmaid looks around has to be the pretty ombre trend. Choose your accent colour for your dresses and then select a dress a shade or two lighter than the one before. 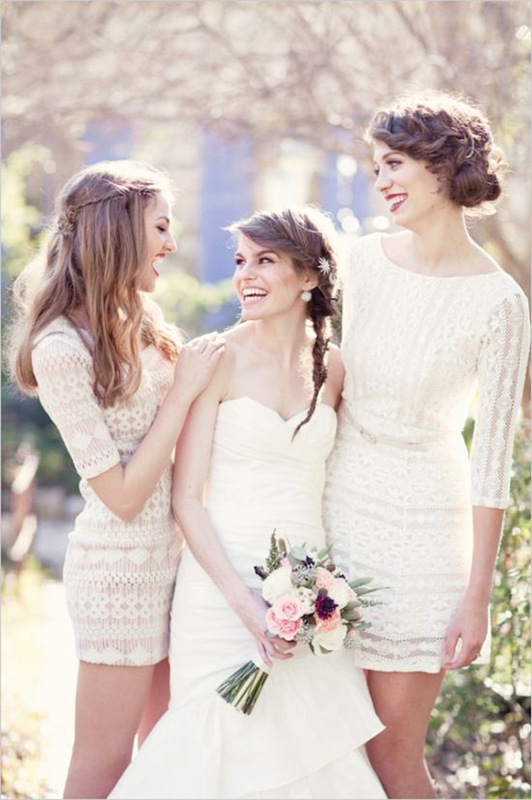 Lace is a gorgeous look for your bridesmaids and really suits a vintage-esq or romantic style of wedding. Another take on the mix and match bridesmaid dress trend, is mixing up the textures of your bridesmaids dresses. My advice would be to choose one accent colour and then each dress can have a different pattern or textured material. And finally, how about dressing your maids in two pieces? I love these vest and skirt combos. 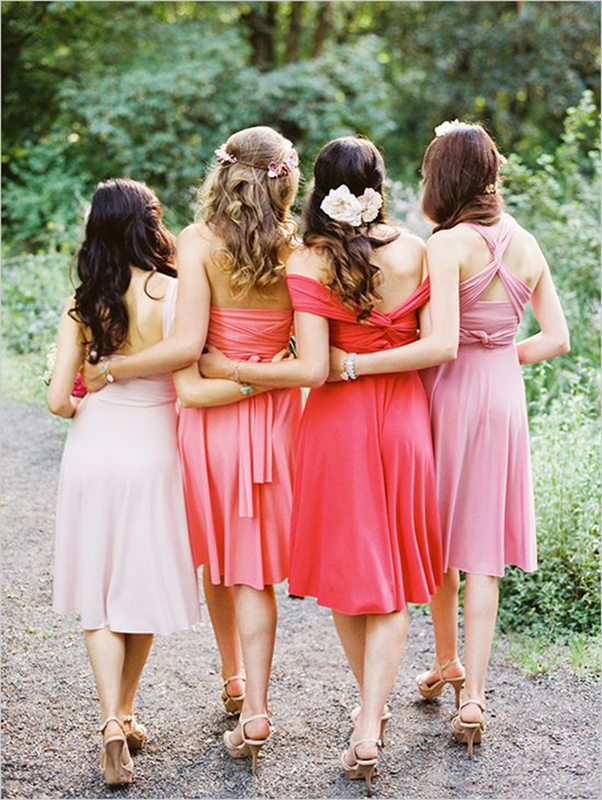 Oooo, I love all of these stylish bridesmaid ideas, how about you?? Want another idea? 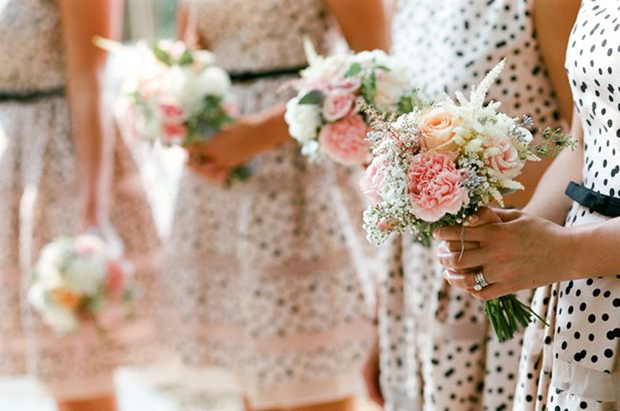 How about polka dot bridesmaid dresses? So sweet. 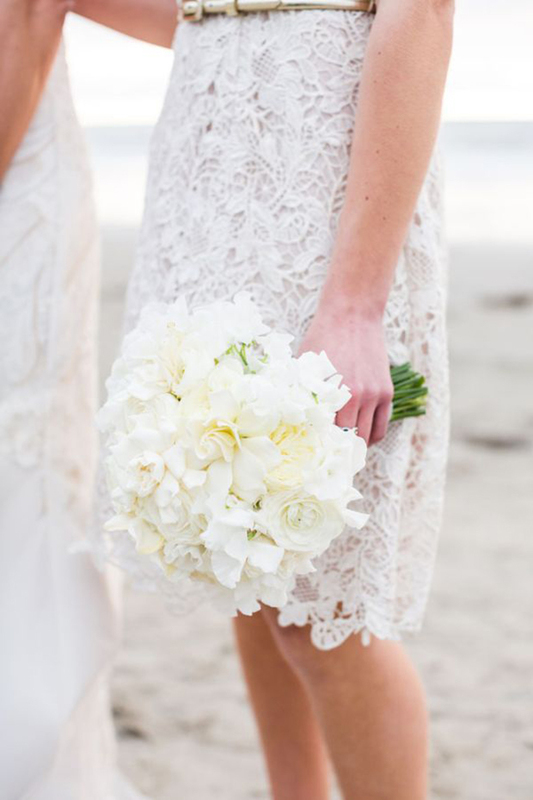 Modern, Timeless & On-trend Bridesmaid Dresses From Coast! Grace Loves Lace Colour Collection: Introducing Belle! #Bestgals ‘Non-Bridesmaid’ Bridesmaids Outfits by Rock The Frock & Velvet Johnstone!! 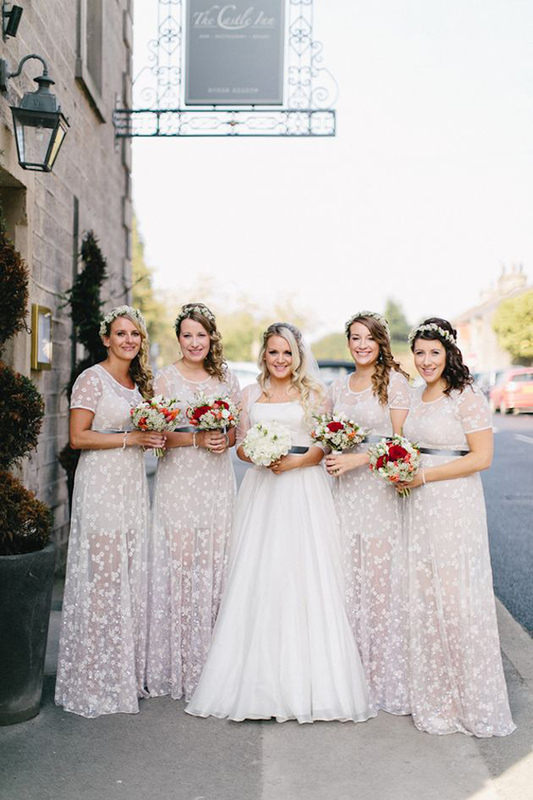 Refreshing to see bridesmaids dresses that can actually be worn again. We love the first dresses, they could be used for all sorts of occasions, lovely! Amazing post, thank you for share your ideas. These bridesmaid dresses are so modern pretty and also the most important that they are practical that can be worn again. I love the ombre and textures, great picks! Any idea where the seperates are from? Super cute!